I don’t drink tea, can’t stand the stuff, but this stuff smelled amazing when I brewed it up for my husband. 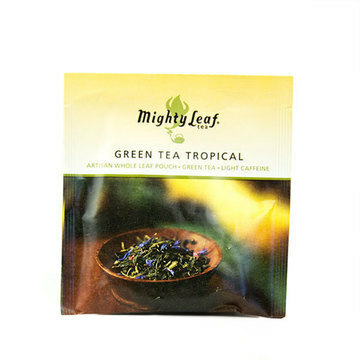 They come in these mesh bags and are REAL tea leaves, like you might get from a specialty tea shop. My husband said it tasted really good and would give it a 4/5. Sour candies or gummies are not something I would normally purchased so this was new for me. I noticed first just how much sugar was in these things, insanely high and boy you can taste it. 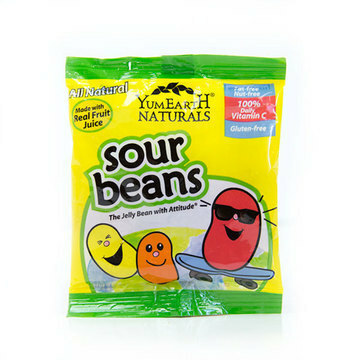 I also don’t understand why they call them “sour” beans, they aren’t sour at all! Everyone who tried these things agreed. In terms of taste, I wasn’t really a fan. The dark reddish ones weren’t terrible but the rest were just gross. 2/5. 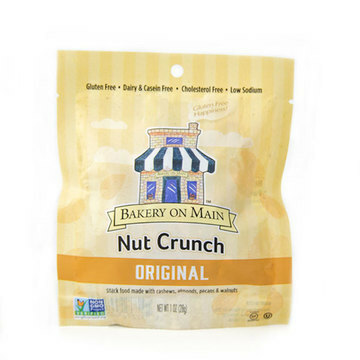 Ingredients: Cashews, Almonds, Gluten Free Oats, Pecans, Brown Rice, Brown Rice Syrup, Evaporated Cane Juice, Organic Honey, Walnuts, Tapioca, Maltodextrin, Expeller Pressed Canola Oil, Sea Salt, Natural Flavors, Corn Starch, Rice Bran Extract, Caramel Color. These little things were interesting! Not too much sweetness and a yummy crunch. 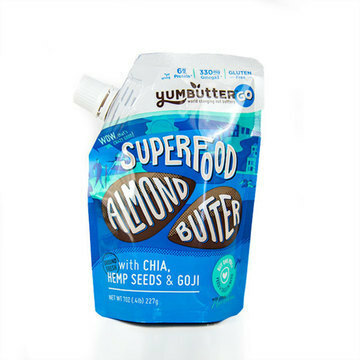 If you like granola you’d probably like these. I should have put them on yogurt or ice cream, but straight out the bag they were just as yummy! Some of the ingredients aren’t things I’d normally eat, but even still I give it a 4/5. I’m not a fan of popcorn, you guys know that but this doesn’t taste like popcorn. They are airy and crispy and just all around yummy. They aren’t high in salt or sugar (in my opinion) and they have a great flavor. 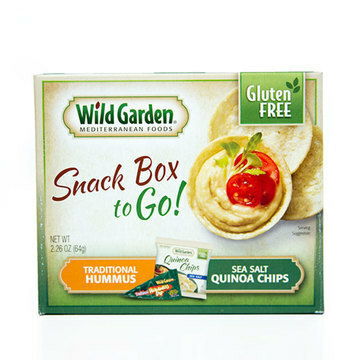 I enjoyed them so much I used my points in the Love with Food store and got a free box of 40 little bags! My ONLY concern is it’s unclear if they are made with GMO free corn. 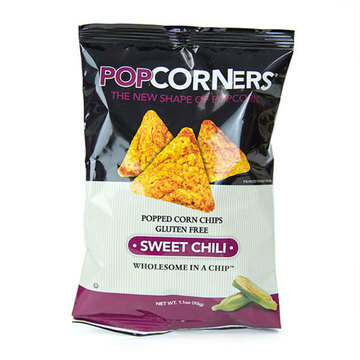 I’m giving them 5/5 based on taste but after my free bags are gone I won’t be buying anymore. (If I had realized that before hand I wouldn’t have gotten them). With how good the kettle flavor was you’d think these would be better, however they’re not. Firstly, I HATE that it has yeast extract in it (another form of MSG), that being said the extract didn’t work. These had a strange after taste and were not yummy at all. Again, I also have gmo concerns. 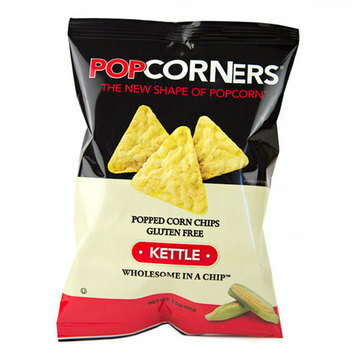 2/5 – if you really wanna try these chips, I suggest the kettle corn flavor. Ingredients: LunaPro® (Soy Rice Crisps [Soy Protein Isolate, Organic Rice Flour, Calcium Carbonate], Organic Toasted Oats [Organic Rolled Oats, Organic Dried Cane Syrup, Natural Vitamin E (Antioxidant)], Organic Roasted Soybeans, Organic Soy Flour, Organic Milled Flaxseed), Organic Brown Rice Syrup, Coating (Organic Dried Cane Syrup, Palm Kernel Oil, Organic Palm Kernel Solids, Organic Soy Flour, Organic Soy Lecithin, Organic Vanilla Extract), Inulin (Chicory Extract), Organic Soy Butter (Organic Roasted Soybeans, Organic Soybean Oil, Salt), Organic Tapioca Syrup Solids, Lemon Fruit Pieces (Organic Dried Cane Syrup, Organic Lemon Juice Concentrate, Organic Glucose Syrup, Pectin, Citric Acid, Sodium Bicarbonate, Natural Flavor), Vegetable Glycerin, Organic Sunflower Oil, Natural Flavor, Organic Natural Flavor, Citric Acid, Sea Salt. Dicalcium Phosphate, Calcium Carbonate, Magnesium Oxide, Ferrous Fumarate (Iron), Niacinamide (Vit. B3), Ascorbic Acid (Vit. C), DL-Alpha Tocopheryl Acetate (Vit. E), Zinc Oxide, Molybdenum Glycinate, Pyridoxine Hydrochloride (Vit. B6), D-Calcium Pantothenate, Beta Carotene (Vit. A), Manganese Sulfate, Selenium Amino Acid Chelate, Riboflavin (Vit. B2), Chromium Amino Acid Chelate, Ergocalciferol (Vit. D2), Thiamine Mononitrate (Vit. B1), Cyanocobalamin (Vit. B12), Folic Acid, Cupric Oxide, Phytonadione (Vit. K), Biotin, Potassium Iodide. Geeze lots of ingreidents haha! (Yes I totally copied that from the luna bar website!). I told you in the video I hate these and I do, if I was to personally review these I’d give them a -5/5 they are so gross, they smell and taste like pine sol. I don’t understand how anyone could eat them. 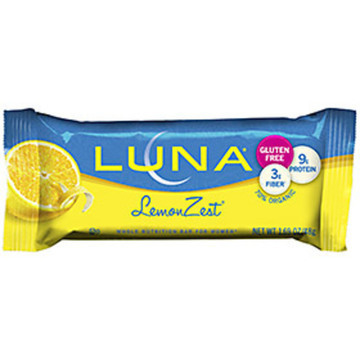 That being said, I enjoy the other Luna flavors so I’ll let my husband rate this one. He enjoyed these bars, but agreed the lemon was just WAY too strong. 3/5 from the hubs. Quinoa Chips: Brown Rice Flour, Whole Grain Corn Flour, Flaxseed Meal, Potato Starch, White Rice Flour, Teff Flour, Quinoa Flour, Sugar, Vegetable, Canola, Corn, Sunflower, Safflower oil and Sea Salt. 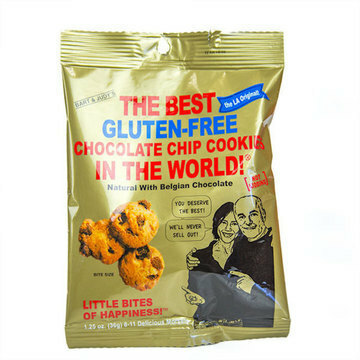 With a name like “The Best gluten-free chocolate chip cookies in the world” I think you’re setting yourself up to either be amazing or a let down. These are not the best gf cookies I’ve ever had, but they’re not terrible. The sweetness is very balanced and I WISH these were soft cookies, they are instead crispy. I give them a 4/5. I’m really confused why this company makes their product from concentrate. I would think that’s less cost effective and it’s not helping you honestly. This had an artificial nasty taste and I couldn’t drink this. I am an addict of coconut water, I’ve tried probably 50 different brands, this was the first I couldn’t drink. & natural flavors? Really… 1/5 here guys. So that’s all my reviews, do you agree or disagree? Let me know what you think of these products. Remember I encourage you to try these products out even if I don’t like them myself. All photos are taken from the Love With Food website and are ©LovewithFood so check out their website. I forgot to take photos of the products before tossing them away, oopsie! 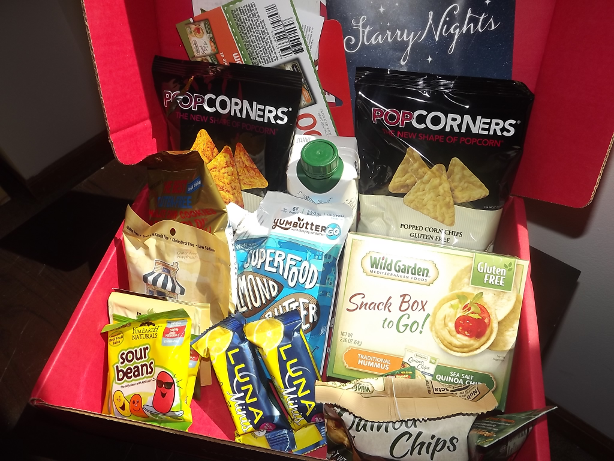 Remember if you’d like to get your first box for only $2 click HERE ^_^. Have a great day! also came with the description of all the product as well as a coupon for free Nona Lim noodles, coupon for $1 off the hummus snack packs, and a few trial to Salted Tv which I admit I still haven’t checked out. I am making a separate post giving my review of the products received. If you’d like to check it out, click HERE, to be taken to that page.